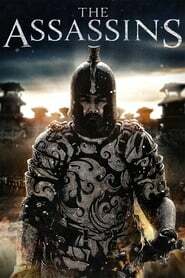 In the year 198 BC, Cao Cao (Chow Yun Fat), Prime Minister of the Han Dynasty, ventured to the east and defeated China’s greatest warrior Lu Bu, terrifying every ambitious warlord across the country. Several years later, after taking the Han Emperor under his wing, Cao crowns himself King of Wei. He built a magnificent Bronze Sparrow Island to symbolize his power and rumors spread that he would replace the Emperor. Meanwhile, young lovers Mu Shun (Hiroshi Tamaki) and Ling Ju (Liu Yi-Fei) are taken from a prison camp to a hidden tomb, where they spend five cruel years together, training as assassins for a secret mission. In the year 220 BC astronomical signs predict dramatic change. As a result, Cao’s son Cao Pi (Yau Sam-Chi) and Cao’s followers urge Cao to become the new Emperor – but unknown opposing forces plot against him. A 15-year-old discovers the joys and heartaches of first love with an older teen, but in the ensuing years, cannot seem to move past their breakup.